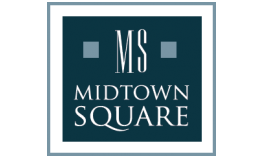 Have it all and more when you take advantage of a large selection of community amenities at Midtown Square. We are taking luxury living to the next level with a premium 24-hour fitness center, a wifi coffee lounge, wine room, and so much more! Work hard and play hard with access to our resident business center, community club room, and a perfectly appointed guest suite. Bicycle storage, heated garage parking, and our great location just minutes from the Metra train station will meet all of your transportation needs. Our community welcomes your furry friends too and includes a dog washing station for your convenience. View our pet policy to learn more about our community guidelines and restrictions. Resident & visitor parking available. Heated Covered Garage: $135 single space, $200 tandem space.